Sticky Rice with Coconut Custard on top (Khao Sangkhaya) for dessert in Vientiane, Laos. 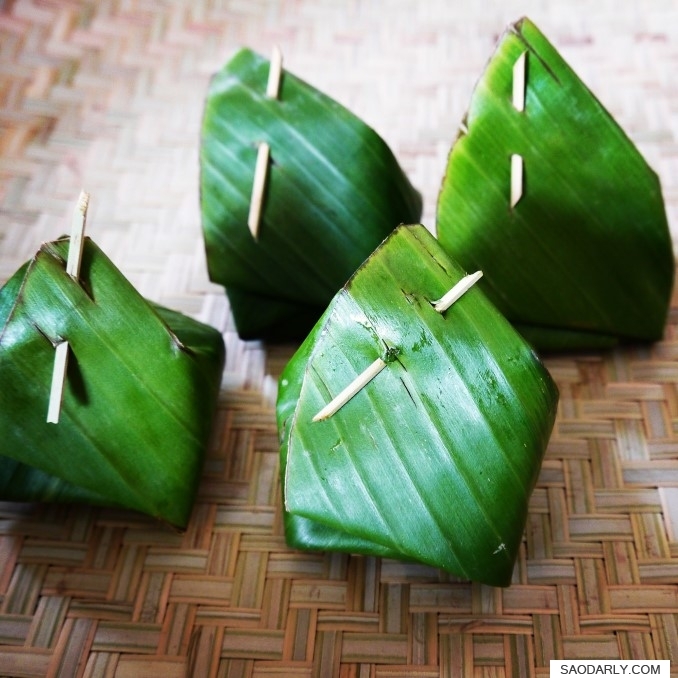 We didn’t make this ourselves but rather bought the small wrappings of the dessert from Vientiane Farmers Organic Market. 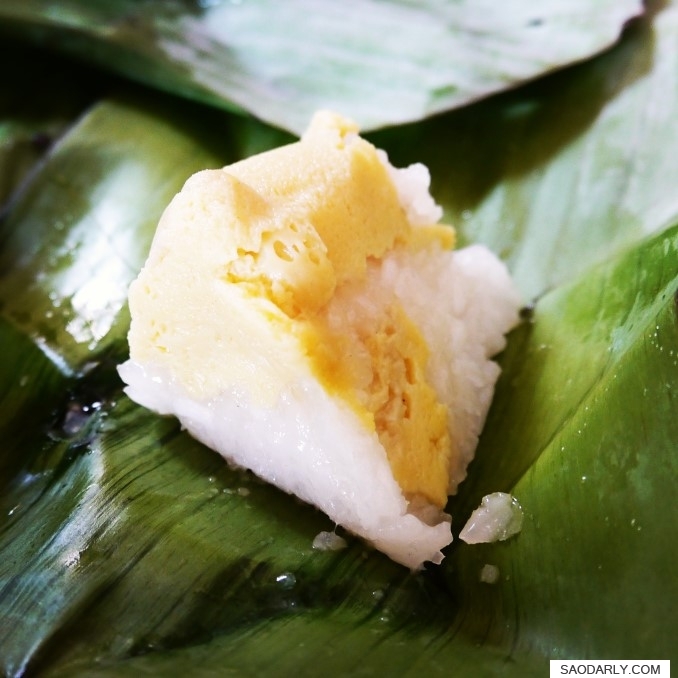 Each individual portions came into types of sticky rice. 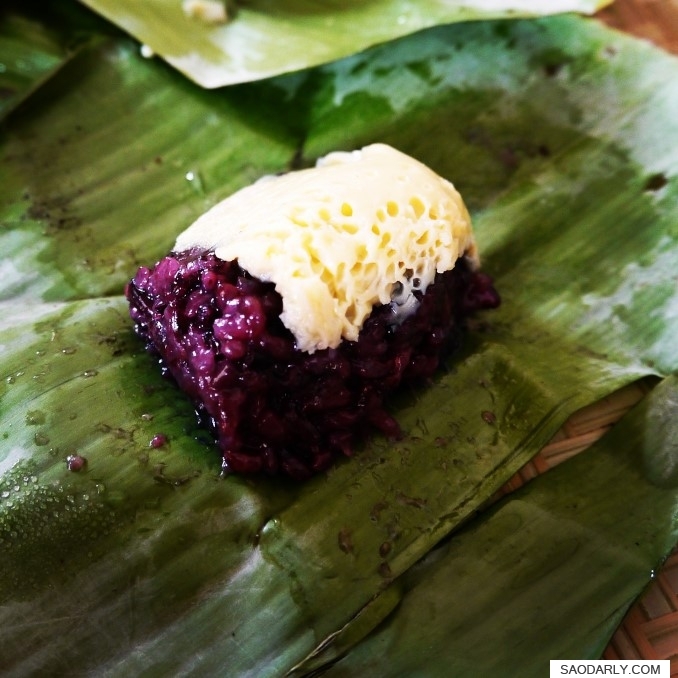 There is plain white rice and purple or black sticky rice known in Lao language as Khao Niao Dam or Khao Kum. The size of the dessert was perfect for me. It was enough to satisfy the craving without adding too much to the waistline.